Casa Kids designs and manufactures children’s furniture and custom rooms. Our expertise lies in loft and bunk beds, desks, storage units, and custom solutions for small spaces. Home installation for all of our projects is done with our own insured, likable and speedy crew. We are usually in and out of customers’ homes in one to two days (depending on the project) because we assemble all of our projects ahead of time in our shop. This ensures a quick, clean installation so that our customers can get back to living their lives. In their new furniture, of course. Casa Kids’ showroom is located at 106 Ferris Street in Red Hook, directly adjacent to our wood shop, where parents and kids are invited to visit us in our natural habitat. With a view of the shop, where our builders are hard at work, kids are invited to touch, climb and play, while parents have an opportunity to speak with our staff. The showroom, shop and design studio are located in a brick warehouse that sits directly on the Brooklyn waterfront and offers a view of the Statue of Liberty and lower Manhattan. A visit to the shop is also a great excuse to explore Red Hook, where IKEA, Fairway and a series of cozy storefronts and cafes have made their homes. Brooklyn-based architect, designer and father of two Roberto Gil was born and raised in Buenos Aires, Argentina. He received his Masters in Architecture from Harvard University in 1990, and worked as an architect for Fox & Fowle and Agrest and Gandelsonas Architects in New York before starting his furniture company in 1992. Roberto’s colorful pieces were soon seen in the windows of Barneys New York, FAO Schwarz and in the museum shops of the Whitney Museum, the Guggenheim and the MoMA. Roberto has designed successful furniture collections for Offi, Crate and Barrel and Williams-Sonoma. His influences include Gerit Rietveld, Jean Prouve, Le Corbusier and Donald Judd, as well as a delight in everyday objects and pop culture. As an architect, Roberto understands the space in which his furniture lives, particularly the small, oddly shaped rooms that often characterize urban dwellings. Roberto finds creative, customized solutions to the challenges these spaces pose through an understanding of circulation, lighting, orientation, air flow and privacy - and how these elements affect the layout of a room. Ultimately, Roberto’s pieces are less designed than constructed. They are marked by an efficient use of materials and intuitive connection systems, and it is no surprise that he cites sawhorses and scaffolding as inspirations for his own version of practical minimalism. To watch where Roberto gets his creativity and why he started to design, please view that video here. Early Designs include the Tribeca Collection, which goes back to 1992 when our shop was in Tribeca. The pieces in the Tribeca Collection were designed using only two components: maple legs 1 1/2" square and 3/8" thick birch plywood. The components are connected with screws. No glue at all was used to assemble the chairs. They were hand painted. The Children's Museum of the Arts in Soho purchased a number of pieces way back then and some are still in use. Pieces from the Tribeca Collection were featured in the MoMA, The Whitney and Guggenheim museum shops. Since its founding in 1992, Casa Kids has embraced a simple approach to its designs: functionality above decor and durability over most everything else. We achieve longevity in our products by building adaptable systems of furniture that are designed to evolve just as kids do. Once a child grows out of his or her loft bed, for example, the cabinets underneath the loft can be moved and used as independent pieces. None of the rooms we design are themed so the furniture will never appear dated or outgrown. 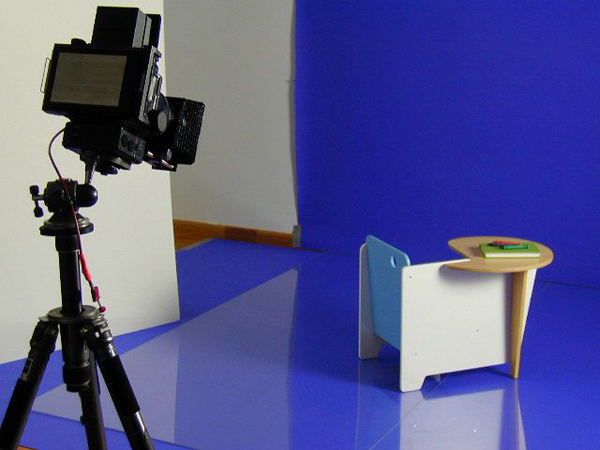 We have been watching children interact with our furniture for more than 20 years and our designs are shaped by their size and scale, as well as by how the world looks from their (slightly shorter) perspectives. 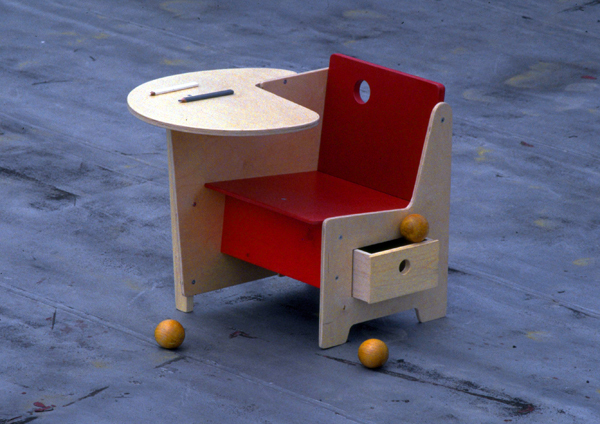 Our furniture is ergonomically appropriate for children’s smaller bodies and is designed to engage a child’s imagination by providing safe and creative spaces for work and play.